The PADI Drift Diver Course is for ages 12 Years and Older. For your course you will need the PADI Drift Diver Crewpak. If you purchase your PADI Drift Diver Crewpak at the time you book your course. 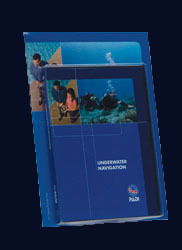 Each student is required to purchase from us their own PADI Drift Diver Crewpak. Do you like to go with the flow? Get Your PADI Drift Diver Course Certification Today. The PADI Drift Diver Course is all about going with the flow. When diving in areas that have a current, there’s no sense in fighting it. Just go with the flow and take the PADI Drift Diver Course. In this course you’ll learn how to execute drift dives safely while maintaining the buddy system and having a blast. Drift diving is awesome. You’ll feel like you’re flying through the water effortlessly. This course is designed to be an introduction to drift diving and to help the student diver develop the skills, knowledge and techniques necessary for drift diving. The purpose of the PADI Drift Diver Specialty course is to familiarize divers with the skills, knowledge, planning, hazards, and enjoyment of drift diving. A. To develop the student’s practical knowledge of drift diving. B. To enable the students to plan, organize and make dives using safe drift diving techniques. You begin the academics in the comfort of your own home. Once you sign up for the course, you will receive all the academic materials needed to complete the home study portion of your course. To start your course you will watch The PADI Drift Diver course video and complete your knowledge reviews in your PADI Drift Diver Diver Manual. This will get you ready for Your classroom session and the in water training portion of your class. OPEN WATER TRAINING DIVE ONE – NATURAL AND COMPASS NAVIGATION • Maintain neutral buoyancy during the dive. • Determine the average number of kick cycles AND average amount of time required to cover a distance of approximately 30 meters/100 feet while swimming underwater at a normal, relaxed pace. • Navigate (surfacing only if necessary to verify direction or location) to a predetermined location and return to within 15 meters/50 feet of the starting point using natural references and estimated distance measurement (kick cycles or time). • Demonstrate the correct positioning and handling of a compass needed to maintain an accurate heading while swimming underwater. • Navigate (without surfacing) to a predetermined location and return to within 6 meters/20 feet of the starting point using a compass and estimated distance measurement (kick cycles or time). • Swim a square pattern underwater returning to within 8 meters/25 feet of the starting point using a compass and beginning from a fixed location. Recommended size of square — each side 30 meters/100 feet or total combined length of approximately 120 meters/400 feet. OPEN WATER TRAINING DIVE TWO— NAVIGATING A PREDETERMINED COURSE WITH A COMPASS • Demonstrate the correct compass positioning and handling needed to maintain an accurate heading while swimming underwater. • Navigate a predetermined course (provided by the instructor prior to the dive) with more than five compass turns, returning to the starting point within 15 meters/50 feet of the exit, without surfacing. • Fix a specific underwater location to be relocated on a future dive using two permanent sets of landmarks with an angle of at least 60° between them, or using a compass bearing. OPEN-WATER TRAINING DIVE THREE — NAVIGATING A COMPASS COURSE WITH HEADINGS ON UNDERWATER MARKERS • Navigate a compass course under water when new course headings (five or more ) are provided on underwater markers. • Draw a map of the underwater area covered by the course conducted during the dive.